I do not know Teoh Beng Hock. But now every Malaysian who reads will know who is Teoh Beng Hock – his open pleasant face, his distraught fiancé and his twisted body lying grotesquely on the Malaysian Anti-Corruption Commission (MACC) building imprinted indelibly in our minds. I vaguely remembered meeting him once. He was one of the many idealistic, bright and young Malaysians who joined the DAP after the political tsunami on 8 March 2008 that transformed our political landscape. Teoh wanted to participate in the flowering of democracy and forge the real changes that promised equal opportunity, good governance and justice. Teoh wanted to be part of this amazing transformation shaping his country and future. He wanted to serve the public, through his position as a personal assistant to a Selangor State EXCO member. This wish to serve has tragically cost Teoh his life, taking him away from his loved ones. Denying his parents of a son, his fiancé of her husband and his unborn child of a father. Teoh is not the only one. Before him there were many others, Indians Malays and Chinese but he was the first DAP member to die so cruelly. I am still in a state of shock and am terribly upset at the MACC for allowing this to happen when Teoh was under their custody. Much as we know the evil that lurks within our security agencies, we are still shocked at such acts of depravity. Whilst the many officers are decent human beings, it is always the few criminal elements that shatter any belief that our security forces can protect us or genuinely fight corruption. We can ask the police why they are wasting public resources to arresting PR leaders and members but not focusing their energies on criminals threatening our safety. We can ask the MACC why they are interrogating hapless personal assistants over a few thousand ringgit for 11 hours till 3.45 am(who are not even suspects) but not applying the same harsh approach on those named in the RM 12.5 billion Port Klang Free Trade Zone scandal. We can also ask why the police and MACC allow themselves to be used as political weapons of BN. But I choose to ask what wrong has Teoh done to deserve this? He did not steal or kill, he was only trying to do his job to serve and change Malaysia. Which is perhaps why I cry but there are no tears! Nothing said or done would ever wipe out the tears of Teoh’s loved ones. But if there is one duty we can do is to stop the deaths. To make sure that there are no more bright, young and idealistic Malaysians like Teoh dying in the hands of police or MACC. This is one duty that all Malaysians whether fathers or mothers, sons or daughters must undertake. That we must clean up the police force and the MACC to make Malaysia safe for our children. I still see Teoh’s crooked body lying there so helplessly in the MACC building. Like all Malaysians, we feel sad that we got to know Teoh Beng Hock after his death. But the memory of his ultimate sacrifice shall reside in our minds for the rest of our lives. And his dreams of a better Malaysia shall live in our hearts as long as we breathe. Teoh Beng Hock Rest In Peace! When I heard this news, I really feel very frustrated and angry how come the MACC can’t even take care a person basic safety. Where is the human right? I like what Guan Eng mention above “But I choose to ask what wrong has Teoh done to deserve this? He did not steal or kill, he was only trying to do his job to serve and change Malaysia.” He is totally no deserve for that. Should we ask, do we as citizen or a human still have confidence to MACC? Do MACC abuse of power? Who are going to investigate them? Do MAC integrity enough? AND MOST IMPORTANT, DO ALL THE MALAYSIA DESERVE THIS KIND OF TREATMENT BY MACC? Today they can treat the lately Mr. Teoh Beng Hock like this, tommorow do you dare to walk in to MACC for investigation? 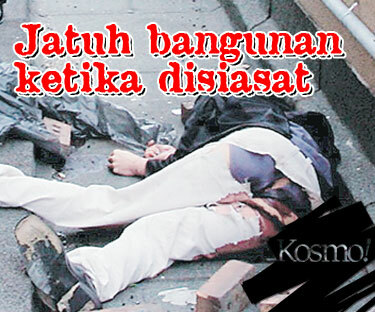 We as rakyat, just request the fundamental requirement of safety, equal opportunity, fair treatment Malaysia. But do you deserve this? But what I personally want to know is what happen for the late Mr. Teoh Beng Hock while the time he at MACC. I am not a lawyer, but I can consider myself lawyer buruk, under Tort Law or even Criminal Law. Do MACC clear their liabilities? Recently I read a news that, DAP will establish a fund for late Mr. Teoh Beng Hock, I fully agree will this. If the situation allow please provide the bank account no, in order to easy for public to raise the fund. The late Mr. Teoh Beng Hock may you rest in peace. Saya adalah seorang yang berumur lebih kurang dengan Sdr. Teoh Beng Hock. Tetapi saya amat bernasib baik kerana saya masih boleh berjumpa dan hidup bersama ahli keluarga saya serta orang yang tersayang. Tetapi apabila saya melihat kes yang menimpa Sdr. Teoh, saya sebagai seorang lelaki pun tidak dapat bersabar supaya tidak menangis, titisan air mata yang mengalir keluar dari mata saya seperti water-fall. Kenapa seorang pemuda yang bercita-cita tinggi telah menimpa perkara yang amat tidak bernasib baik seperti ini??? Soalan yang berada di kepala semua orang adalah apakah yang sebenarnya telah terjadi semasa mendiang Teoh berada di SPRM??? Adakah beliau menghadapi sebarang desakan dari SPRM??? Hari ini saya melihat kenyataan yang diberikan oleh kawan karib mendiang Teoh dan salah seorang daripada kawan mendiang Teoh berkata mendiang Teoh pernah menghubunginya supaya menjadi pengapitnya apabila mendiang Teoh berkahwin! Saya dengan penuh yakin bahawa jika seorang bercadang untuk berkahwin, bagaimana beliau akan bunuh diri!! SPRM yang bertanggungjawab untuk menangkap mereka yang pernah memberi rasuah atau dirasuah, kini telah menyebabkan kematian seorang pemuda yang berhasrat dan bercita-cita tinggi. Tambahan, terdapat banyak keraguan dimana seorang pembantu EXCO yang disoal siasat dalam bilik SPRM tidak dipasang CCTV. Tidak dapat saya percayai bahawa soal siasat yang begitu sensitif dimana mendiang Teoh adalah pembantu EXCO PR tidak dirakam semasa disoal siasat. Kini semua telah terlambat. Walaupun S’jaya Diraja telah berjaya ditubuhkan, namun hari ini adalah hari ke-8 kejadian berlaku, segala bukti telah dihapus. Tambahan, S’jaya tersebut tidak merangkumi siasatan punca kematian mendiang Teoh…..
At first they said TBH jumped from 12th floor later, they said it is 14th floor! Indeed, if TBH did jump from whichever floor…the WINDOW SHOULD BE WIDE OPEN when they discovered the body! because you have to push the window “WIDE OPEN AND UPWARDS” in order to jump out…they shouldn’t have be any problem in identified which floor he jumped isn’t it?